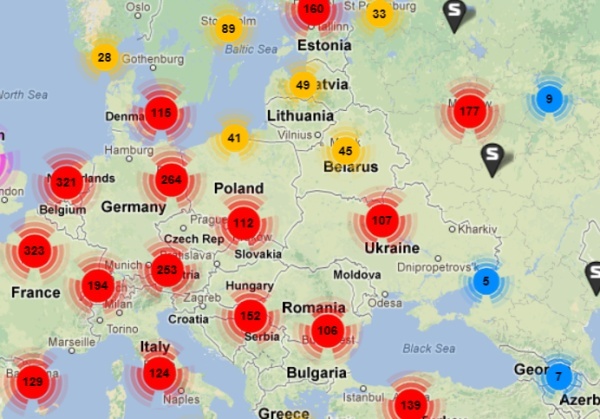 StartupsBio, a project from Croatian entrepreneur Filip Topol, (who is also involved in Mediatoolkit and SocialNumbers) is an attempt to map the startup ecosystem by providing an international database of startup accelerators, startups, and conferences. Utilizing AngelList API, the site allows users to search within each of the aforementioned categories (and will eventually allow user to search for “influencers”). At the present time, there are 26,671 startups, 122 conferences, and 253 accelerators, incubators, and seed funds that can be found through the site. Why the need for the project? Well, the purpose of the site is to provide users with an accurate database of the global startup ecosystem. Having recently begun writing for GoalEurope, I can certainly say that there is a seemingly endless amount of conferences, funds, and startups in the central and eastern European regions. Considering that this is just a small section of the global startup community, keeping track of everything happening can sometimes be an overwhelming task. Having met with several interesting entrepreneurs, Topol felt a sense of despair over having to keep track of the people he meets and places he visits and has decided to establish this site as a sort of organizational project. As one might expect, there are other maps, such as this one of Los Angeles, this global map from a Polish entrepreneur Lukasz Kostka, and this map of the ecosystems of Singapore and New Zealand. A further list of maps of various major cities can be found here. What sets StartupsBio apart, however, is its coverage area and its search function. In searching for other sites, I really could not locate a site that over comprehensive coverage of the global startup ecosystem. As long as the startups log their data in AngelList and report their origins accurately, CEE accounts for 729 startups out of 26671, or 999 if you add Russia (which is fewer than in our database), and includes not quite startupy businesses such as Ukrainian Agricole Finance Engineering LLP and others. The detailed breakdown is below. The map is not without glitches, as at the closer look and at a particular zoom, startups from Krakow end up moving over to Katowice, and what’s unclear is why 38 startups appear to be taking a ferry from Poland to Denmark. The core questions for analysts remains the same though: how to differentiate between hot, mediocre and dead businesses.